Nothing frustrates and confuses more than seeing the glow of the check engine light on your instrument panel. Whether it is a friendly reminder to have your car service or an indication of something much more serious, the illusive check engine light provides no indication to you what is wrong with your car. It does mean that a vehicle system, such as the ignition, fuel injection, or emission control, is not operating properly. 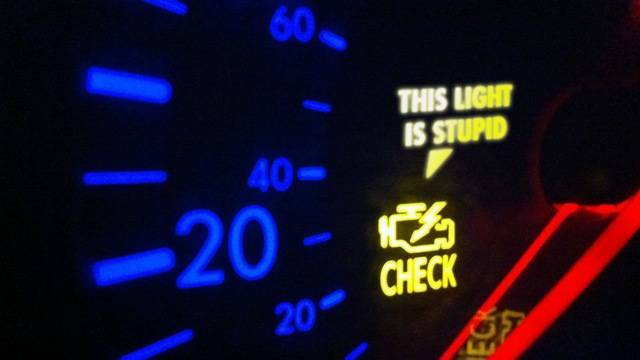 A glowing check engine light does not mean you have to pull the car to the side of the road, but it does mean you should get the car checked out as soon as possible. Ignoring the warning light could cause costly repairs. At the very least, the light is alerting you to an engine problem that is negatively influencing your fuel economy. With our state of the art computer equipment, Peninsula Automotive Repair provides check engine light diagnostics to help you understand what is troubling your car. We scan your car’s computer system to determine what is triggering the light, provide you with repair options, execute your requested services, and reset the check engine light. With our 12-month or 12,000-mile warranty on all repairs, you can be sure you will be driving with confidence that your car will be running at peak performance.